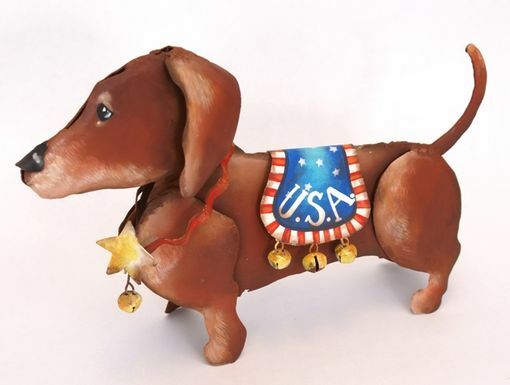 This adorable free-standing painted metal Patriotic dachshund dog decorator item will make a great statement in your home. It measures approximately 10" x 4" x 14.5". He features a removable USA saddle with bells so you can use him all year long. Around his neck is a metal collar with a star and bells. Size: 10" x 4" x 14.5"